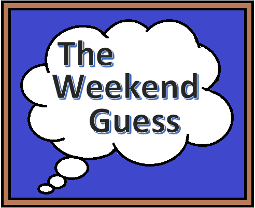 As the last part of this Book-Week I present to you the forty fifth instalment of the Weekend Guess. The boy with the lightning-shaped scar learning the truth about his parents death from an escapee and a werewolf. No one tried guessing, so I can’t congratulate anyone.